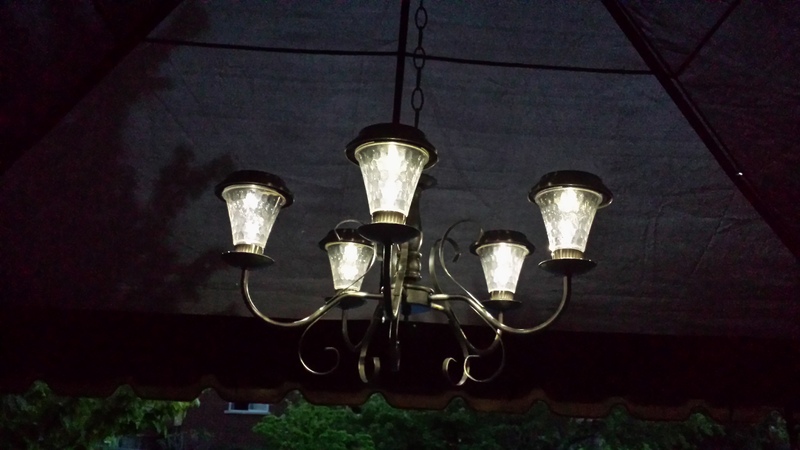 Here’s a quick and easy way to take an old chandelier and some solar garden lights (we had some already) and turn it into a pretty outdoor light fixture for your deck or patio. 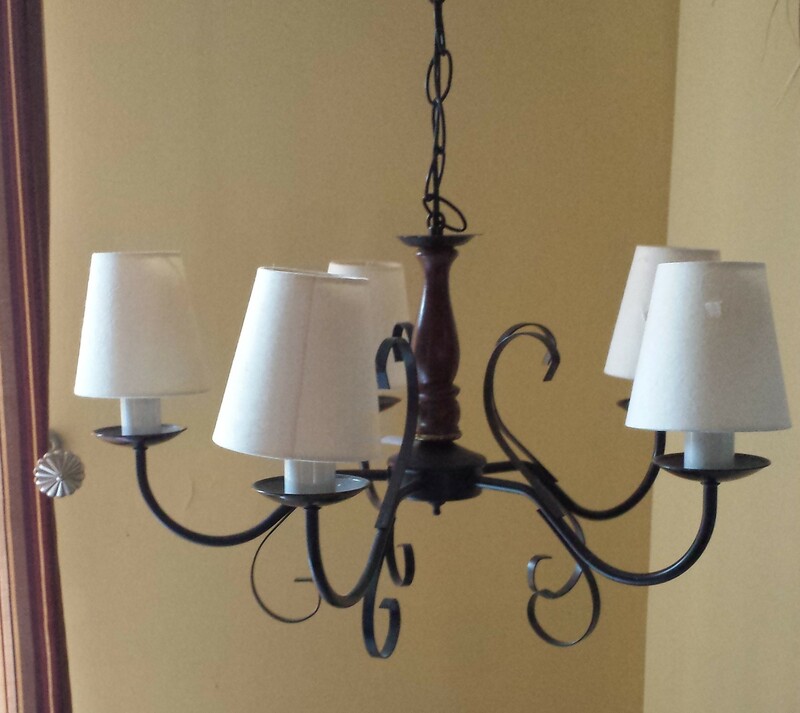 Mr. Restyle bought this chandelier for $5 and he did most of the work, which is why there aren’t pictures of all the steps, unfortunately. He removed the shades, wiring and and sockets and put our daughter to work in spray painting the entire thing with Rustoleum in Satin Nickel. He then inserted wall plugs where the sockets used to be. Wall plugs are those little plastic plugs that get hammered into drywall to help support pictures hooks. 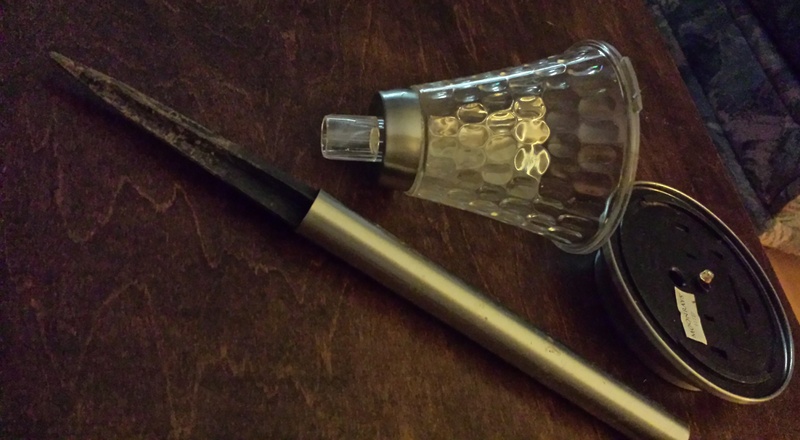 He removed the stem from the bottom and the cap from the top so that he had the solar light in 3 separate pieces. 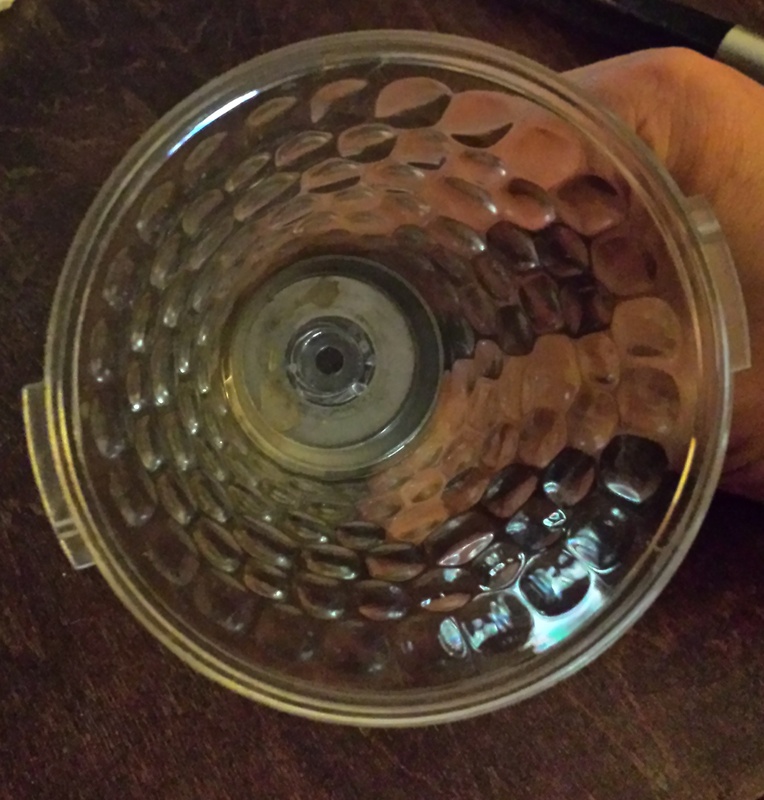 Our lights had a hole at the bottom of the solar shade, like this. He inserted a washer and a screw into the hole and screwed this to the wall plug that was inserted earlier and then put the top cover back on. When he was done it looked like this. And at night, all lit up. It looks so pretty. 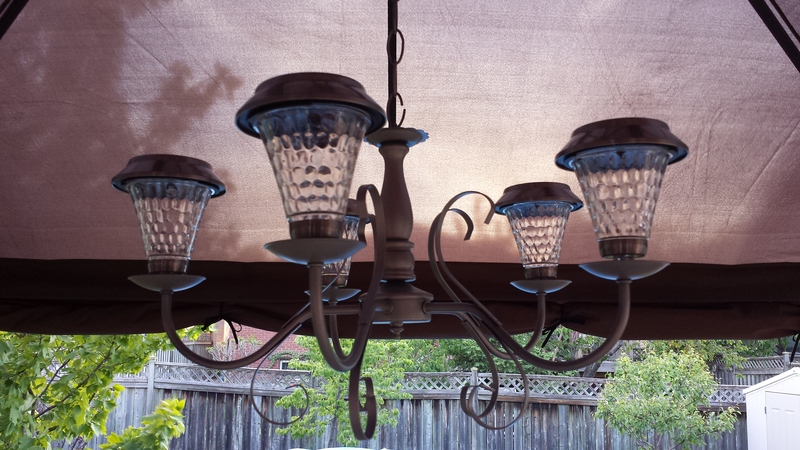 Next up, I’d like to add a solar table lamp and some pretty mason jar solar table lights or candle holders. Do you really get enough sunlight thru the canopy to fuel the solar lights all night? Mr and Mrs ReStyle are people after our own hearts, truly. Love this very clever repurposing of lighting. It looks so much better than the original!! RUDE boy will be shown this as he changes up a lot of my lamps and light fittings. Thank you for sharing the joy.